The majestic Arctic charr (Salvelinus alpinus) graces eight lakes in the English Lake District and was specifically mentioned in the recent successful nomination of this area for addition to the UNESCO World Heritage List. However, nowhere is its cultural importance greater than at England’s largest natural lake of Windermere. Here, this flagship species forms the basis of a small and unique recreational fishery of tremendous cultural significance. A new film Brass, Three Down explores the delicate triangle of fish, fisher and environment, including showcasing some of the short- and long-term research activities of the Lake Ecosystems Group of the Centre for Ecology & Hydrology. 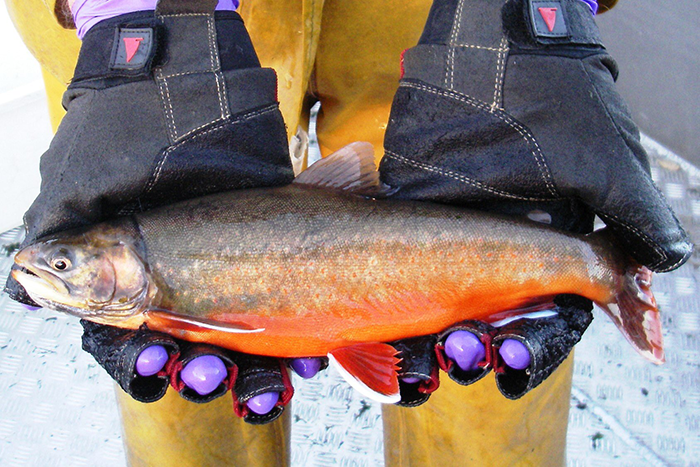 This work includes the use of sophisticated hydroacoustic (echo sounding) technology to determine Arctic charr abundance and distribution and to assess its critical spawning habitats, with additional video-based studies of such areas using a remotely-operated micro-submarine. In addition to furthering our fundamental understanding of how lakes work, this internationally-renowned research addresses a number of pressing environmental issues including eutrophication, climate change and invasive species and so informs and guides local, national and international lake management. 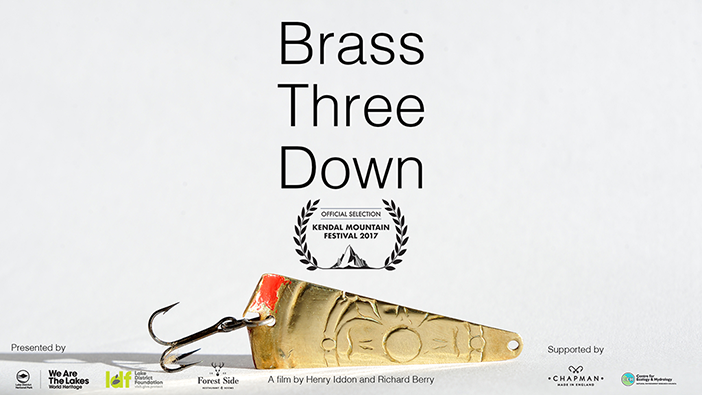 Brass, Three Down by filmmakers Henry Iddon and Richard Berry can be seen at the Kendal Mountain Festival (November 16-19) and will also be available online later. Brass, Three Down is now available to view online on Vimeo.